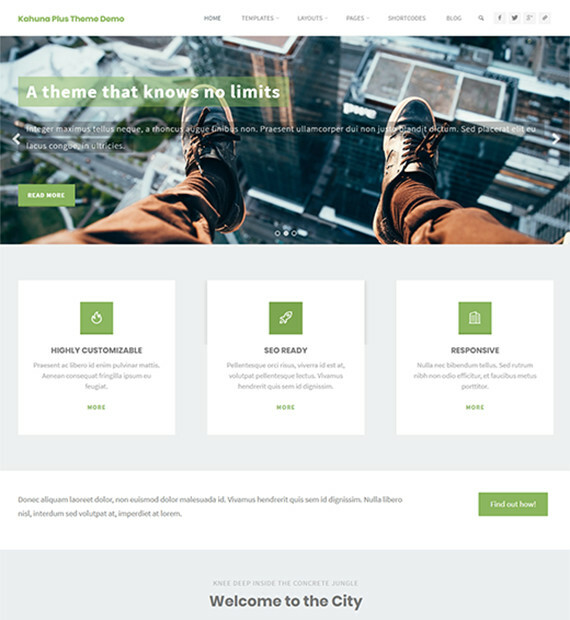 Kahuna is a highly customizable business WordPress theme which is also widely used for personal blog, photography and portfolio websites. It is fully responsive and some of its main features include configurable layouts and widths and on-page SEO. You also have the options of various box selection and article animations. Furthermore, it is compatible with WooCommerce which makes it a very efficient business theme. Besides these, this theme also supports RTL languages, Google Fonts and typography options.